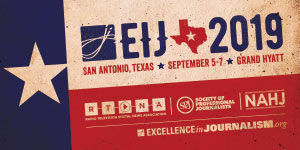 SEJ sponsors its own annual contest to honor the year's best environmental journalism in newspapers, magazines and newsletters and on television, radio and the Internet (annual deadline is April 1). 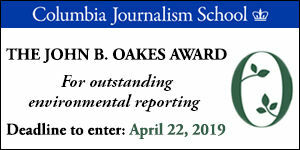 There are also many other awards and grants for reporting on environment-related topics, as well as fellowships. Below are links to our alphabetical lists of non-SEJ awards, grants, fellowships and workshops. For chronological listings by deadline, see our Calendar. In addition, SEJ's Fund for Environmental Journalism provides grants of up to $5,000 to help underwrite environmental reporting projects and entrepreneurial ventures. There are often two rounds annually. The deadline is May 15 for the Spring 2019 round, for projects covering global biodiversity. Sign up for FEJ announcements, including upcoming rounds. The "Lizzie" Grant is named for Elizabeth Grossman, a longtime SEJ member who devoted her career to uncovering environmental health issues while tirelessly advocating for freelancers until her untimely death in July 2017. The grant will provide up to $5,000 to help cover travel and other expenses related to sustained coverage (e.g., a series of articles) of a particular topic in environmental health. 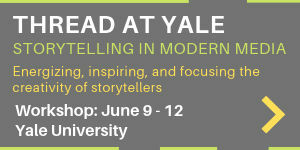 It will be offered under the Fund for Environmental Journalism. This alphabetical listing includes a broad array of journalism award, grant and fellowship opportunities, most but not all environmental. This is an alphabetical listing of primarily non-SEJ environmental journalism fellowships and workshops, compiled by SEJ.